The God of the Bible is not the God of Reason that Answers in Genesis, William Lane Craig, Tim Keller, Silence of Mind and others tell us he is. None of the evidence, some of which we’ve reviewed, supports the supposition. That’s because the God of Reason, like all gods, is a construct of the human mind. In much the same way as Yahweh was a reflection of irrationality, this God is a reflection of our rationality. He could not – and did not – exist before the Enlightenment, before Rationalism itself and the new understanding of mathematics, science and philosophy. As appealing as his apologists try to make him, the God of Reason is demonstrably not the God of the Bible, who is defined by impulsive, destructive passions. No, he’s not the tempestuous Yahweh, nor is he the daddy-god Jesus imagined (who is just Yahweh with a few rough edges knocked off), nor the God of blood-sacrifice and atonement beloved of Paul. He is, like all those inventions, a fabrication of our own making. For Christians who are drawn to him, he is a false god. But then, aren’t they all? So much for ‘free will’, a notion that’s alien to the Bible in any case. If I were a Christian, which thank God I’m not, I’d really want some answers to the questions this bizarre idea throws up. We’ll take a look at what these are next time. 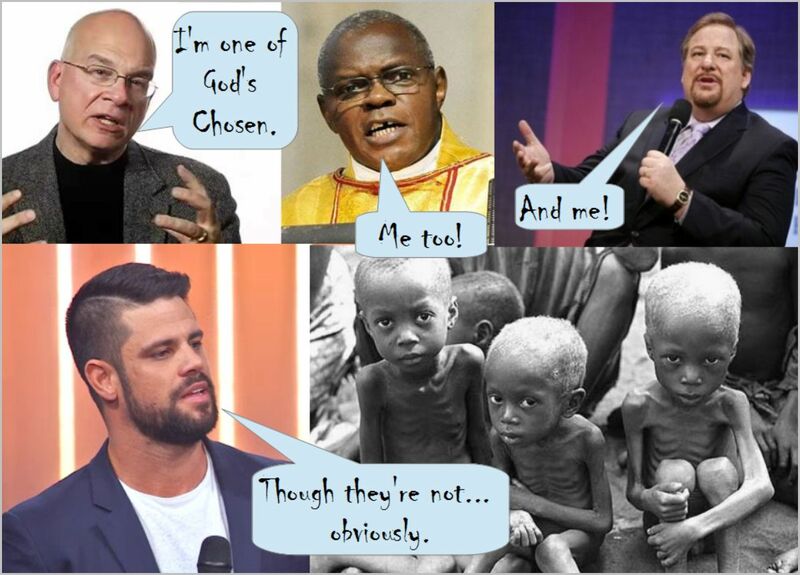 Picture shows Tim Keller, John Sentamu (Archbishop of York), ‘Pastor’ Rick Warren and ‘Pastor’ Steve Furtick. Chosen by God, every one. And some kids he couldn’t care less about. The God of Reason strikes again! Having willfully allowed everything to deteriorate into chaos, God is upset again when his abandoned human creation doesn’t behave as he wants them to. Evidently he couldn’t see this coming, so he decides the most rational thing to is to drown everyone and everything, with the exception of a family left over from an earlier myth by the Babylonians and a floating zoo. Everyone else, every baby, every child, every pregnant woman, every living thing – from the smallest insect on four legs to brachiosaurs and the cutest lickle kittens – he murders in cold water. After he’s annihilated them all, Yahweh is dismayed when Noah gets pissed and romps around naked in front of his son, who is called Ken Ham (can’t blame him for not seeing that coming) and he realises this plan hasn’t worked out either. Now where, in all of these larks, is rationality? More nul points for the great God of Reason and his ability to think things through. Yahweh’s next cunning plan involves persuading a bloke who’s a few brain cells short of a pastry case himself to murder his own son and burn his body. Yahweh tells him this will be such fun. But then, at the last minute, just when the kid is trussed up on a pyre with his old man ready to plunge the knife into him, God sends a messenger to call the whole thing off. Turns it was no more than a test. Never mind the trauma to the kid and the damage to his relationship with his father, this was the only logical way for Yahweh to see if ol’ Abe was one of the good guys. He follows it up with another great plan; he promises he’ll look after Abe and his descendants till the end of time, so long as – wait for it – they all slice off the end of their penises. Now, come on – that’s a well thought through scheme if ever there was one. …there is an absolute standard for reasoning; we are to pattern our thoughts after God’s. The laws of logic are a reflection of the way God thinks… Laws of logic are God’s standard for thinking. Since God is an unchanging, sovereign, immaterial Being, the laws of logic are abstract, universal, invariant entities. In other words, they are not made of matter—they apply everywhere and at all times. Laws of logic are contingent upon God’s unchanging nature. And they are necessary for logical reasoning. 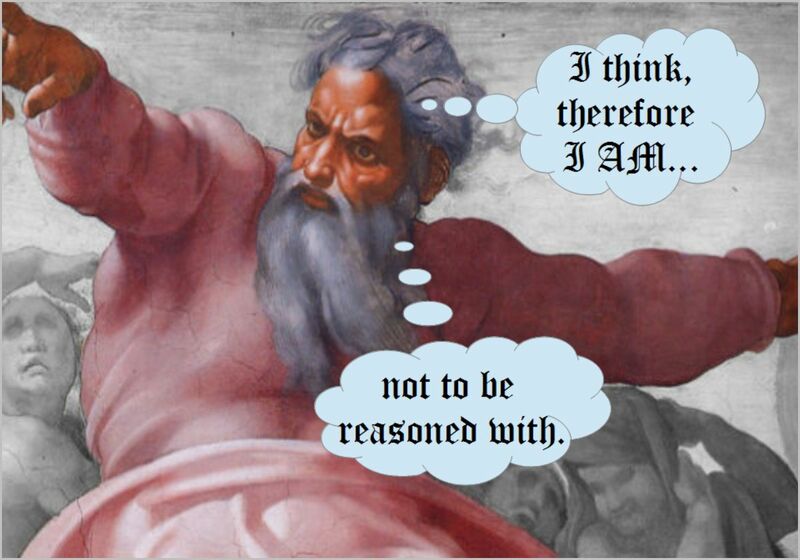 Thus, rational reasoning would be impossible without the biblical God. The materialistic atheist can’t have laws of logic. He believes that everything that exists is material—part of the physical world. But laws of logic are not physical… The atheist’s view cannot be rational because he uses things (laws of logic) that cannot exist according to his (Godless viewpoint). Similarly, Tim Keller in his book The Reason for God argues that the fact humans can reason is evidence both of God’s existence (because reason has to come from somewhere) and of our being made in his image. According to Christians then, God is the only reason we can think rationally at all. This deity, who, according to Dr Lisle and Tim Keller is the epitome of logical reasoning, doesn’t then take the trouble to explain to his creations, ‘Look, I’m sorry I made you without a sense of right and wrong; I’ll put that right. But you’ve got to promise me you’ll do as I say from now on because you won’t like me when I’m angry.’ No, he doesn’t do this; instead he throws a hissy fit. He punishes the couple, who until they’d tried the fruit had no idea disobeying him was wrong, and, just for good measure, he trashes the rest of Creation too – forever. Because of a single act committed by two naive individuals who didn’t know any better, he ruins everything and then, irrationally, blames the humans for the mess he’s made. That’s his reasoned, reasonable and rational response to their upsetting him – which, if he was the omniscient being Christians tell us he is, he’d have known was going to happen anyway. Of course the whole set up and God’s reactions are not rational, reasonable or logical at all. They’re not considered, proportionate or insightful either. The God of Reason, the God who is Reason according to Answers in Genesis and Tim Keller, scores on this, his first outing, zero points on the scale of reasoned, reasoning reasonableness. 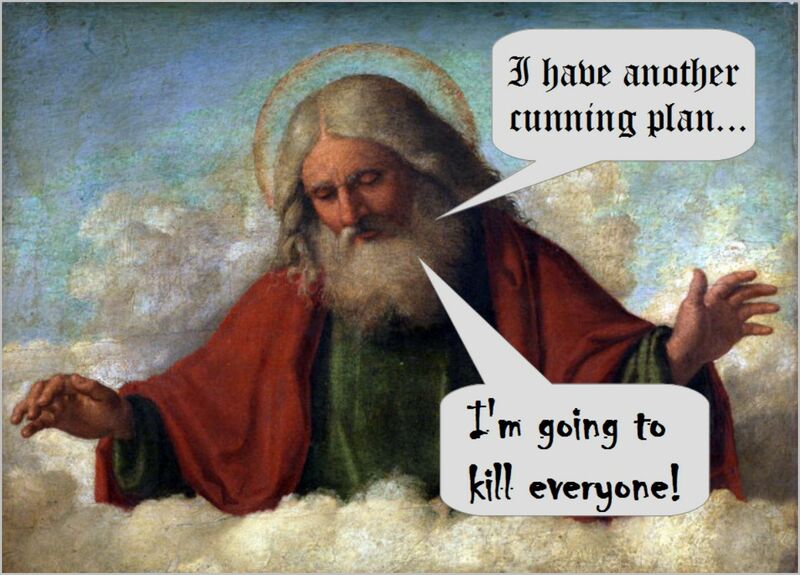 Maybe though God was just having an off day and he improves later on, once his intelligence has evolved a bit more. We’ll find out next time. * All my examples of God’s great thinking skills and ‘reasonableness’ are drawn from the Bible; there are, however, simply too many to reference throughout this series of posts. I would be happy to supply them to any who feel the need to see them. ** Yes, I’m aware it’s a myth but a) many Christians don’t and b) even as a myth the story seeks to address how humans became alienated from God, ironically by developing the capacity to think for themselves. Just what did Jesus say? The Jesus Seminar and other scholars* conclude that only about 18% of the words attributed to him in the gospels are authentically his. They reach this conclusion because so much of what Jesus ‘said’ – 82% of his utterances – is demonstrably derived from elsewhere. There were four major sources for his words, which I’ll discuss briefly here, providing an example of each. Bear in mind also that whatever the derivation of Jesus’ words, those we have today have been subject to, in their earliest days, an unreliable oral tradition, repeated copying and deliberate and accidental alteration. The earliest surviving ‘words of Jesus’ (a few fragments of the fourth gospel) date to a century after he lived. 1. The early church created a good deal of the Jesus narrative, making him say what was important to them. For example, ‘take, eat, this is my body,’ and ‘take, drink, this is my blood that is shed for you,’ is clearly a post-crucifixion perspective. 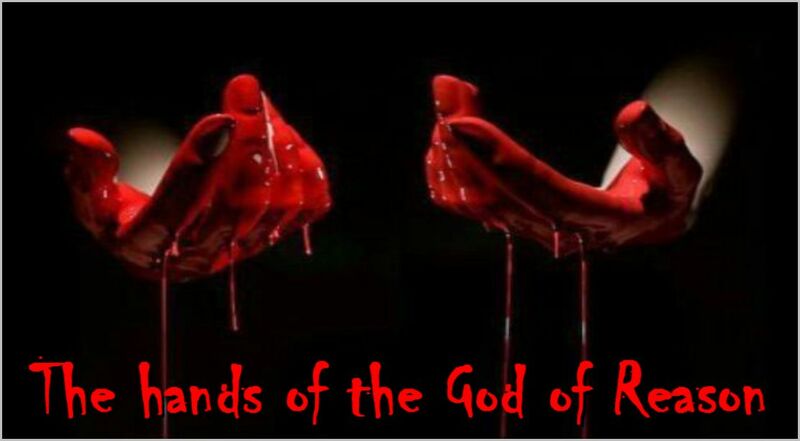 While it appears in arguably the most Jewish of the gospels (Matthew’s) the idea of drinking blood, even symbolically, would have been, and remains, anathema to Jews, whose scriptures forbid it (Leviticus 17.10 -16). Jesus was an orthodox Jew; it was the Hellenised Paul who transplanted the pagan ritual into nascent Christianity. He relates in 1 Corinthians 11.23-26, written about 15 years before the first gospel, how his wholly imaginary ‘Christ’ told him of this bizarre activity. Once established in the early church, Jesus then had to be made to endorse it and it was written back into the gospels. 2. The gospel writers (or others) invented dialogue for him. His entire conversation with Pilate, for example, is invented not once but four times, the encounter being rendered differently in all four gospels. It is probable that the entire scenario is fiction, given the likelihood the excessively cruel Roman governor would even entertain the idea of questioning a seditious nobody himself. And then there’s the ‘I am’ statements of John’s Jesus that I considered here. 3. 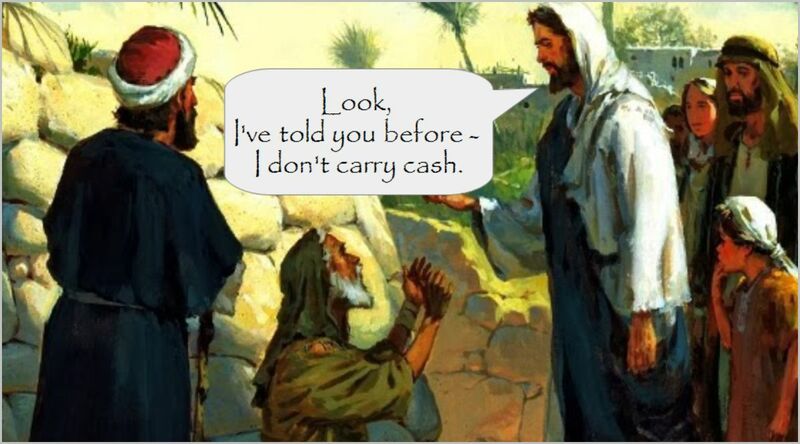 The gospel writers altered difficult sayings into something more palatable. For example, in Matthew 15.24 Jesus says he was ‘sent only to the lost sheep of Israel’ (my italics). By the end of the same gospel, as well as in Luke and John, this has become a commandment to ‘make disciples of all nations, baptising them in the name of the Father, the Son and the Holy Spirit’ (Matthew 28.19). So which was it? Was the message exclusively for Jews or was it for all? It suited early churches, filled with non-Jews, that the gospel was for everyone, just as Paul had argued. 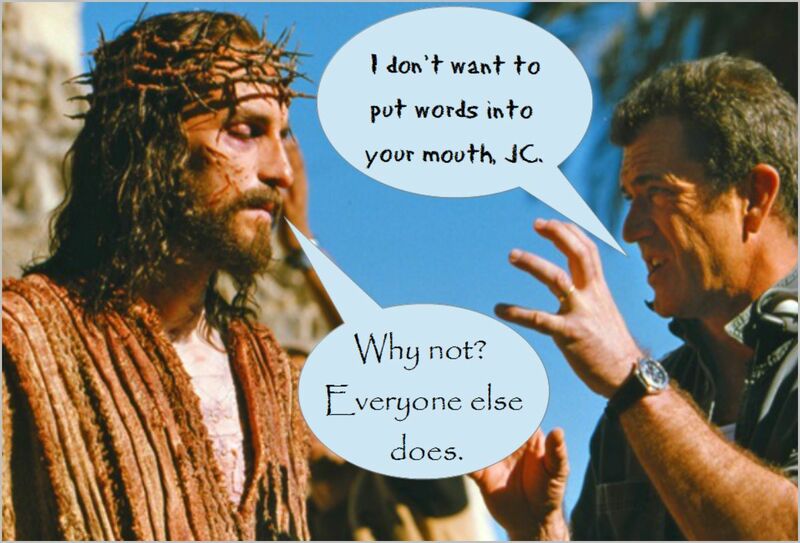 Jesus’ words to the contrary – even if they were sufficiently widely known to have had to be included in Matthew’s original account – needed to be amended. Who amended them and when we shall never know, but it was certainly after the idea of the Trinity had taken hold. As inspiring as these might initially appear, they actually mean very little; they’re either prophecies that didn’t come to pass, impractical moral expectations or pseudo-spiritual homilies. And how much of this advice, these admonitions, do today’s Christians follow? You’d be hard pushed to find many that do. After all, following Jesus doesn’t entail doing what he says.